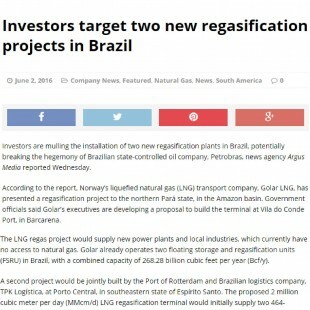 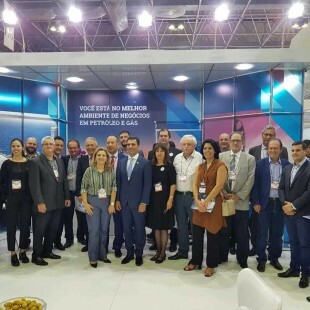 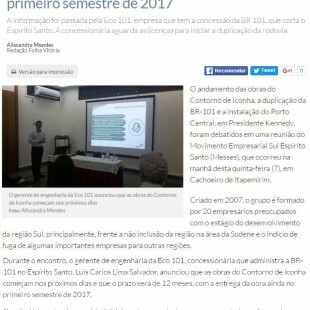 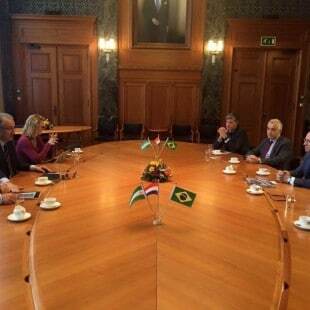 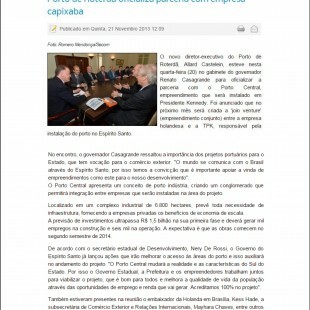 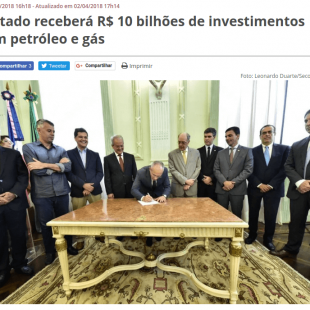 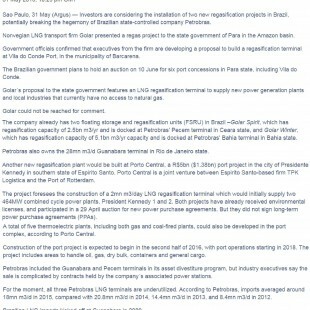 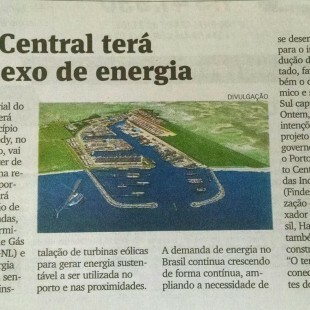 Brasil Energia Petróleo - 23 December 2015 | Porto Central can begin in 2016. 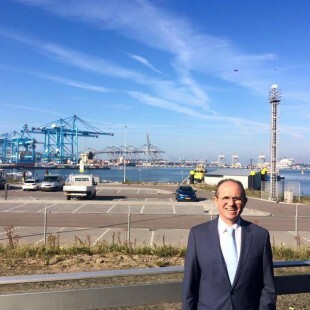 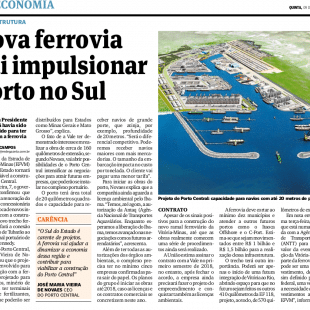 Folha Vitória - 09 November 2015 | Port of Rotterdam executives visited area of Porto Central. 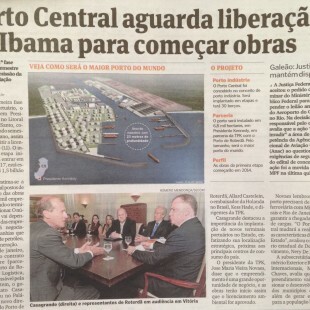 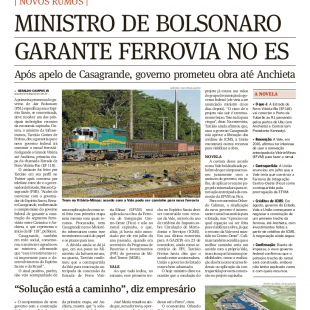 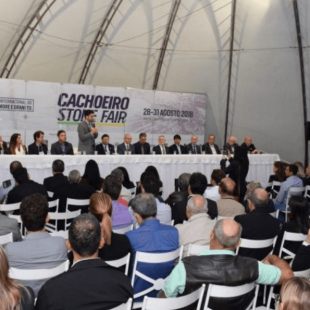 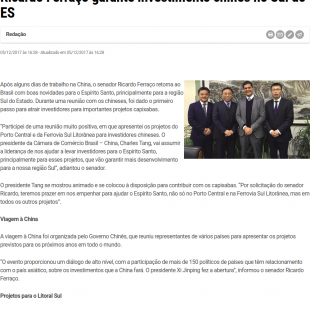 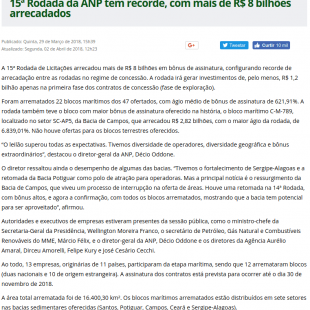 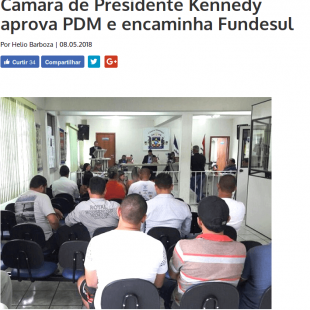 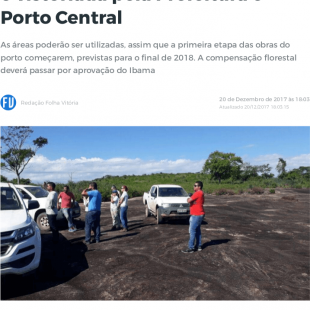 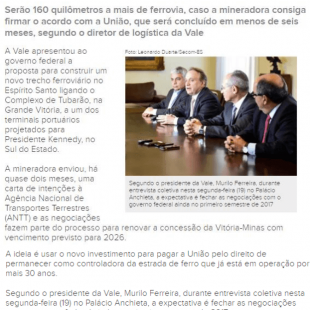 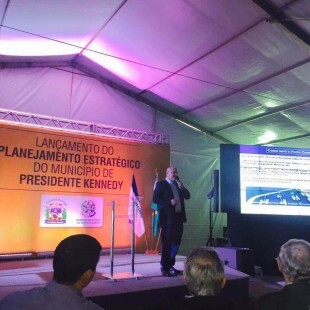 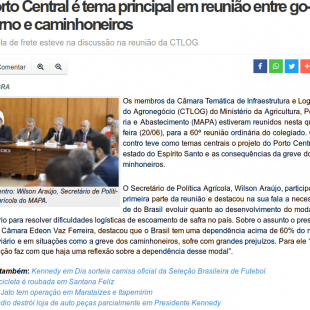 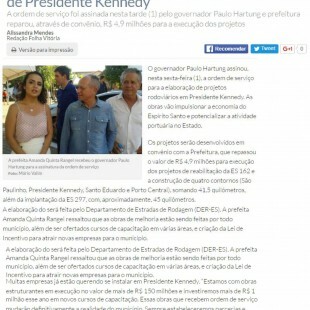 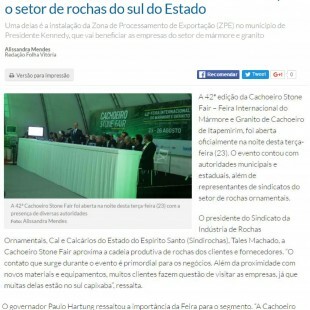 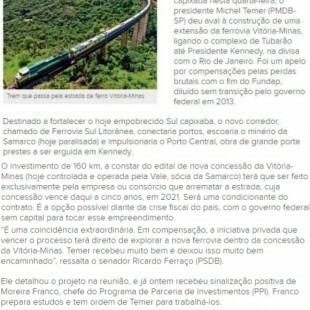 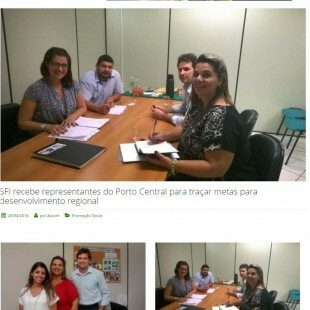 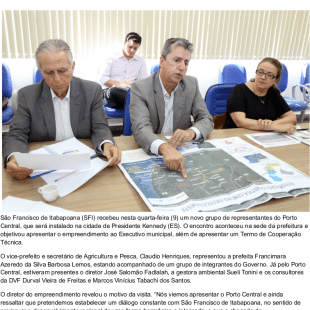 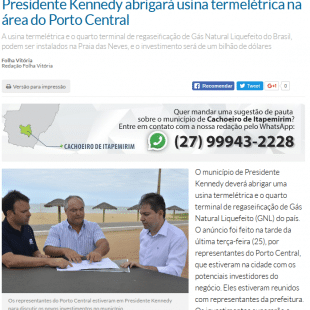 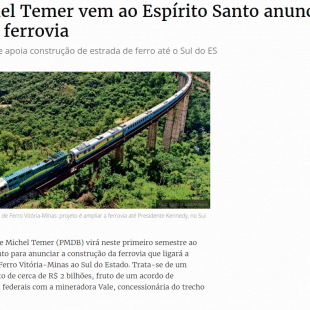 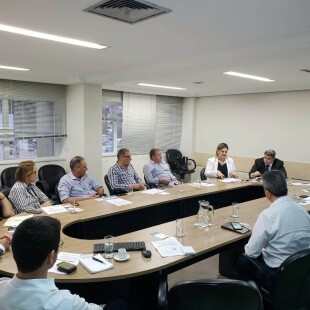 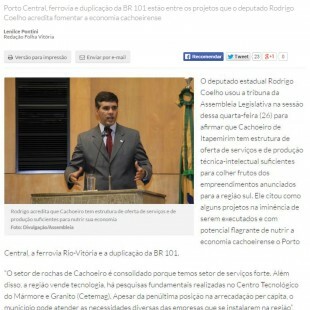 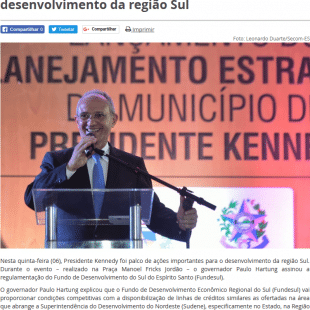 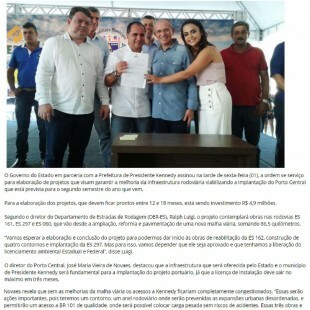 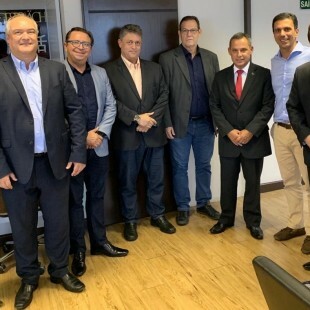 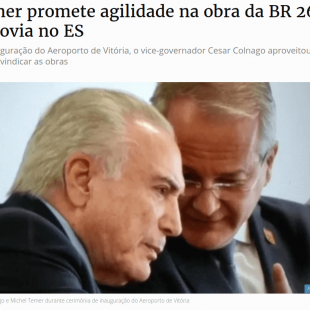 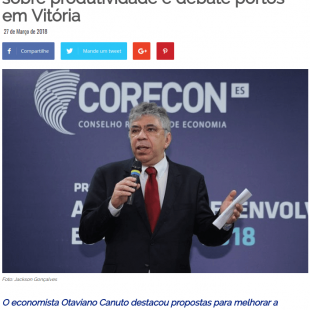 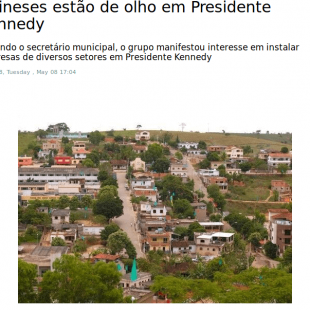 Folha Vitória - 26 August 2015 | State congressman believe in projects such as Porto Central that can boost the economy of Cachoeiro de Itapemirim. 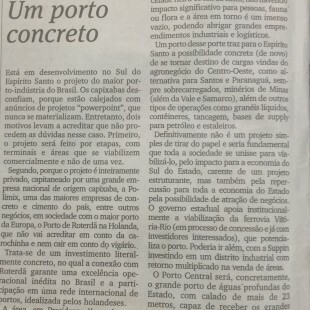 A Gazeta Newspaper - 12 July 2015 | A concrete port. 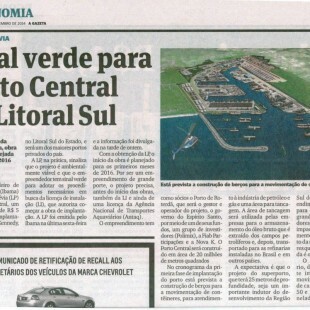 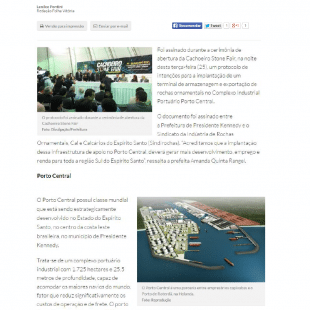 Guiamarítimo.com - 09 June 2015 | Porto Central expects to begin your construction next year. 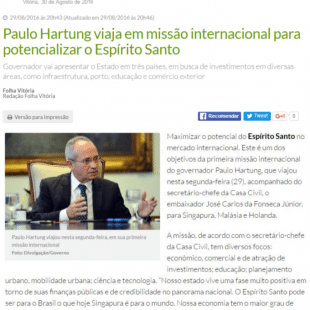 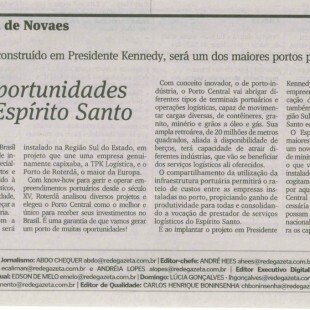 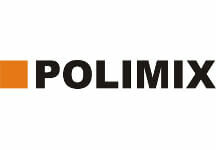 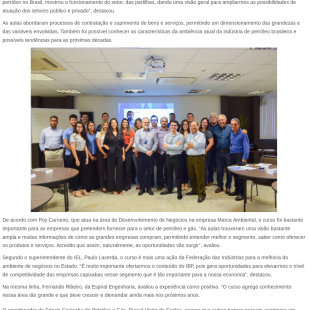 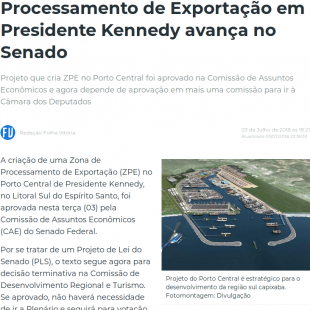 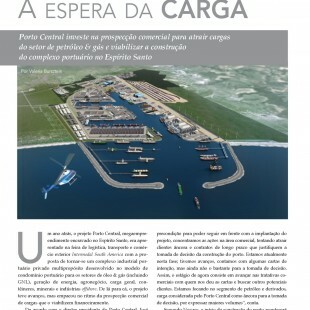 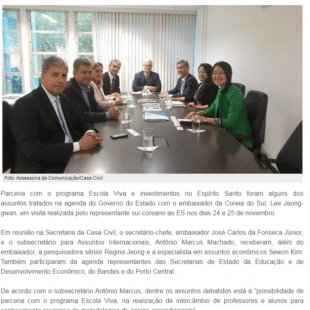 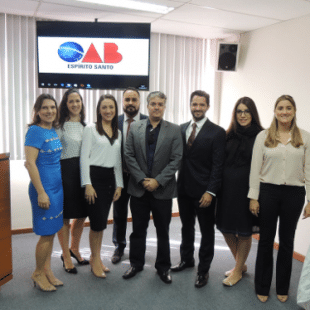 A Gazeta Newspaper - 22 May 2015 | Port of opportunities in the south of Espírito Santo State. 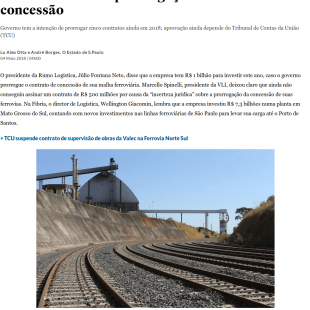 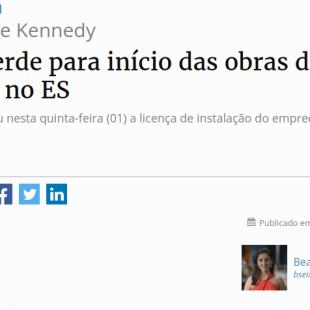 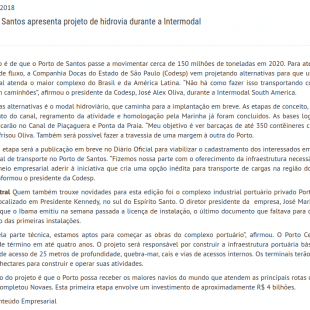 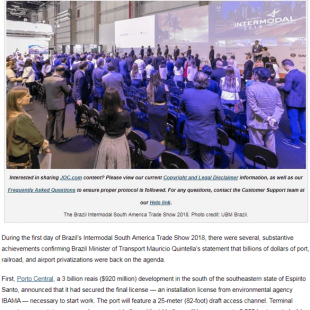 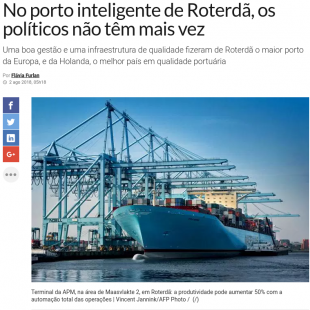 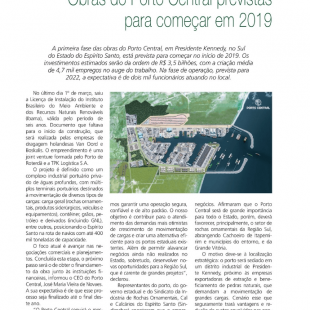 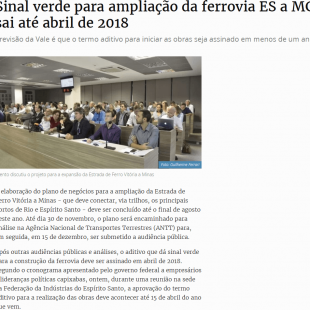 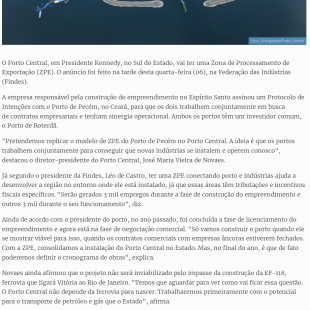 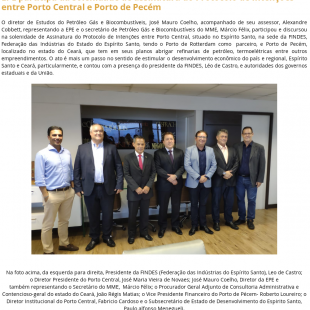 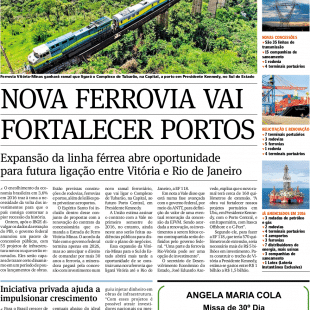 Otmeditora.com.br, edition nº 470 - 01 May 2015 | Espírito Santo State will harbour Porto Central. 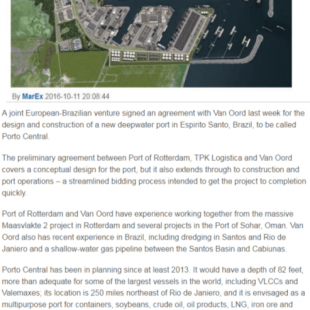 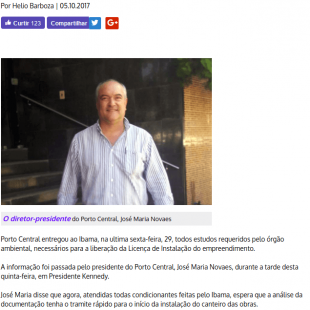 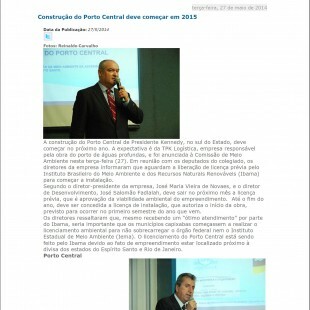 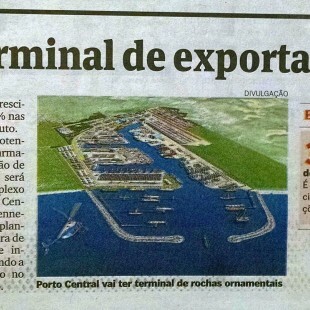 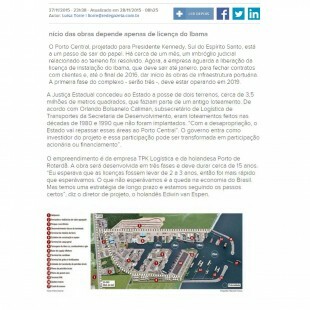 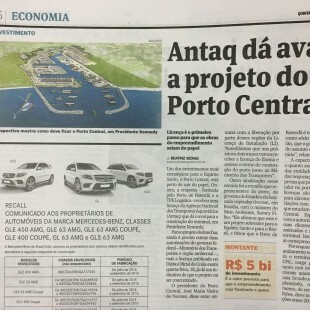 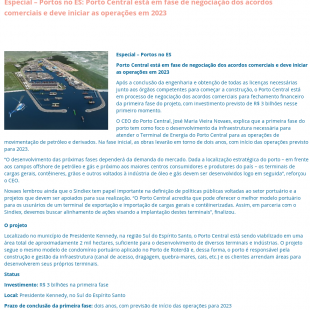 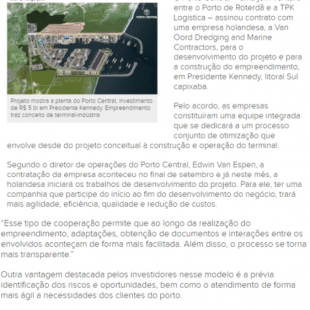 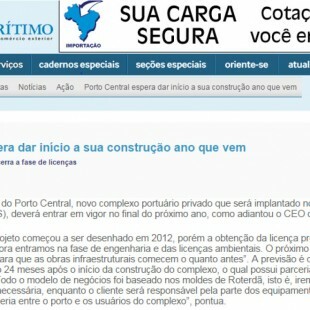 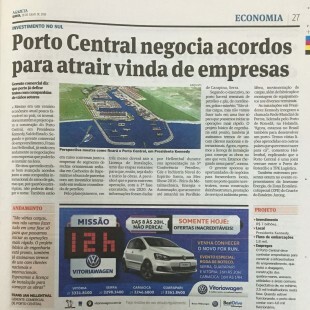 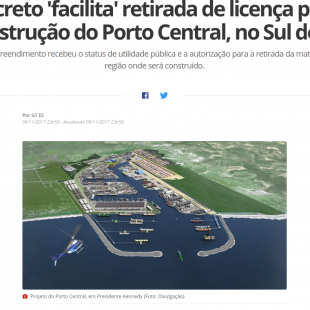 Portogente.com.br - 14 April 2015 | Porto Central’s construction is expected in 2016. 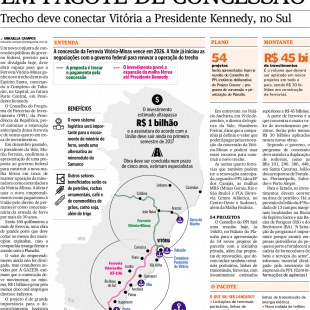 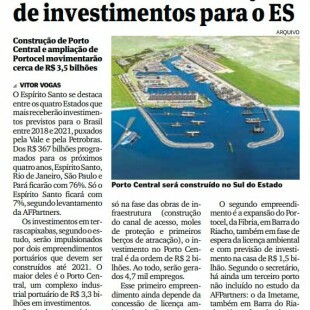 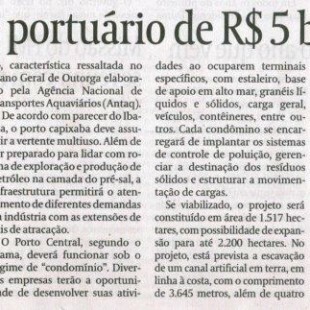 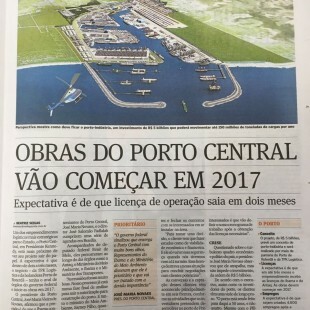 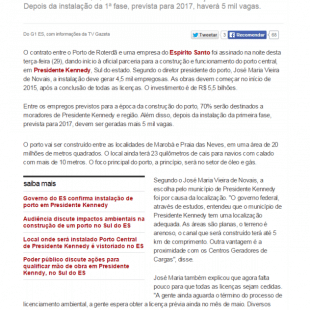 Valor Econômico Newspaper - 09 December 2014 | Ibama releases port project of R$ 5 billion in Espírito Santo State. 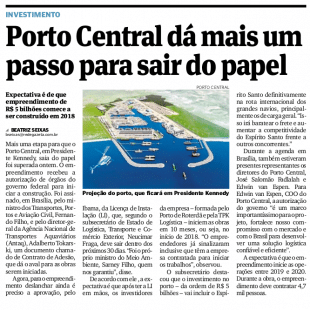 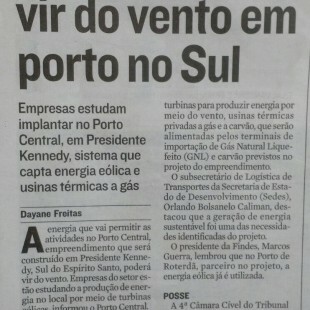 A Gazeta Newspaper - 09 December 2014 | Green light for Porto Central in the South Coast. 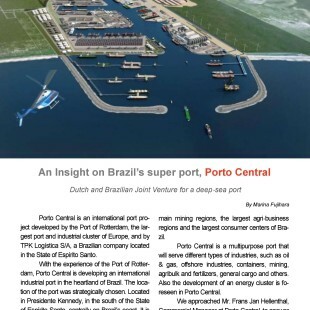 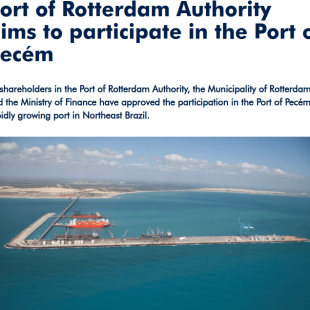 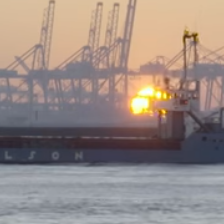 Portos e Navios Magazine - 05 September 2014 | Ports: Rotterdam arrives in Brazil. 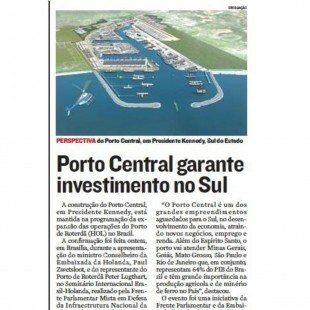 Al.es.gov.br - 27 May 2014 | Porto Central’s construction shall start in 2015. 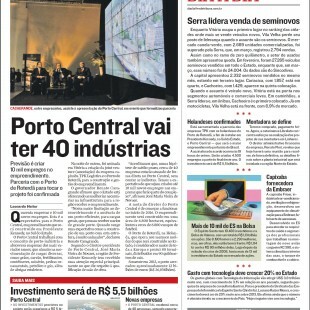 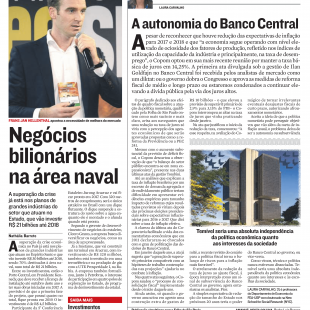 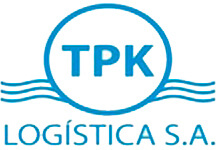 A Tribuna Newspaper - 30 April 2014 | Porto Central will have 40 industries. 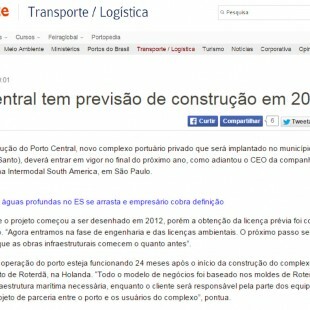 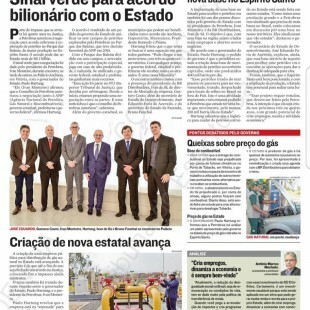 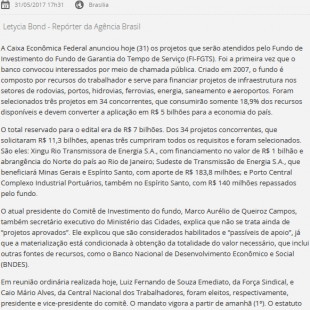 G1.globo.com - 30 April 2014 | Port construction in the Espírito Santo State will generate 4.500 jobs, says the company. 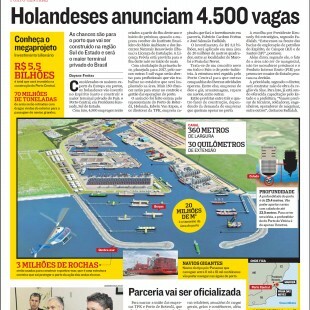 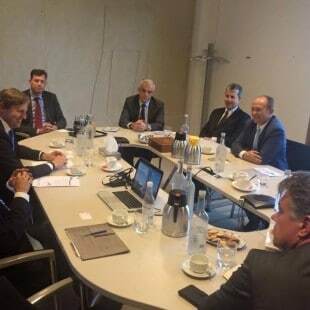 A Tribuna Newspaper - 25 April 2014 | Dutch announced 4.500 jobs. 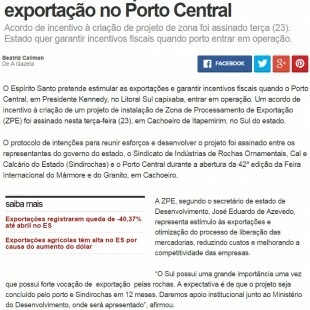 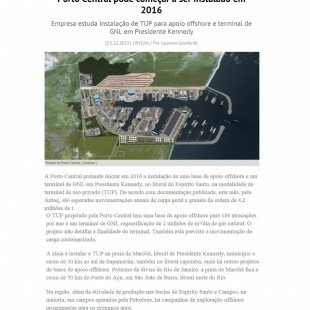 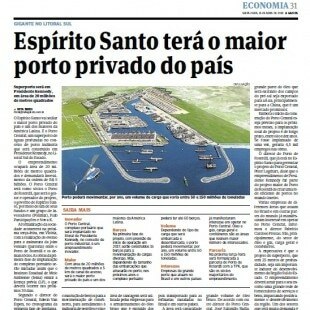 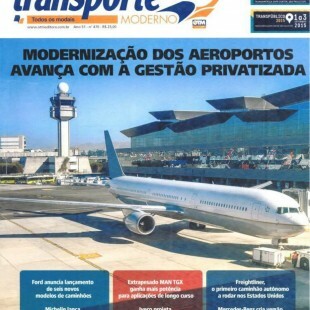 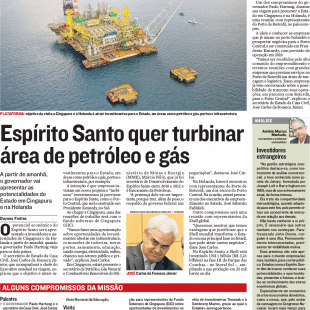 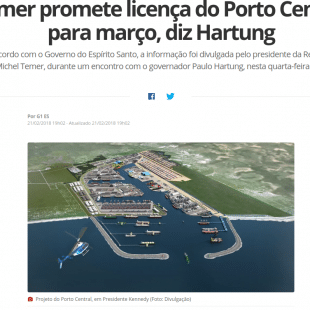 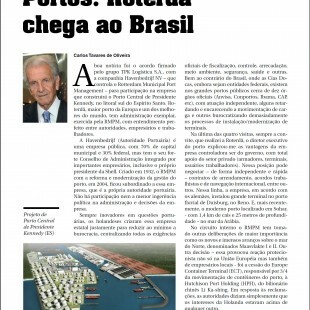 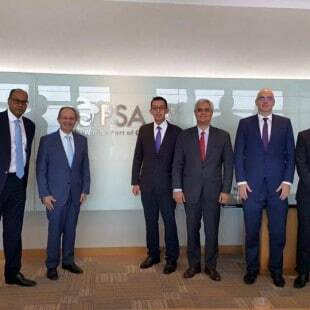 A Gazeta Newspaper - 25 April 2014 | Espírito Santo State will have the largest private port in the country. 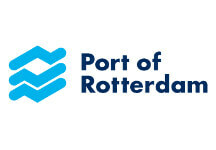 Sedes.es.gov.br - 21 November 2013 | Port of Rotterdam makes official its partnership with a local company. 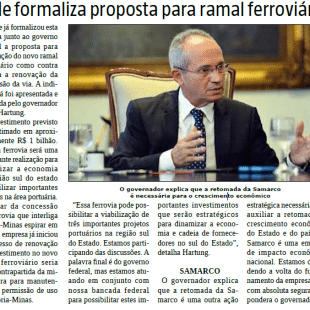 A Gazeta Newspaper - 20 November 2013 | Porto Central waits licence of Ibama to start works.